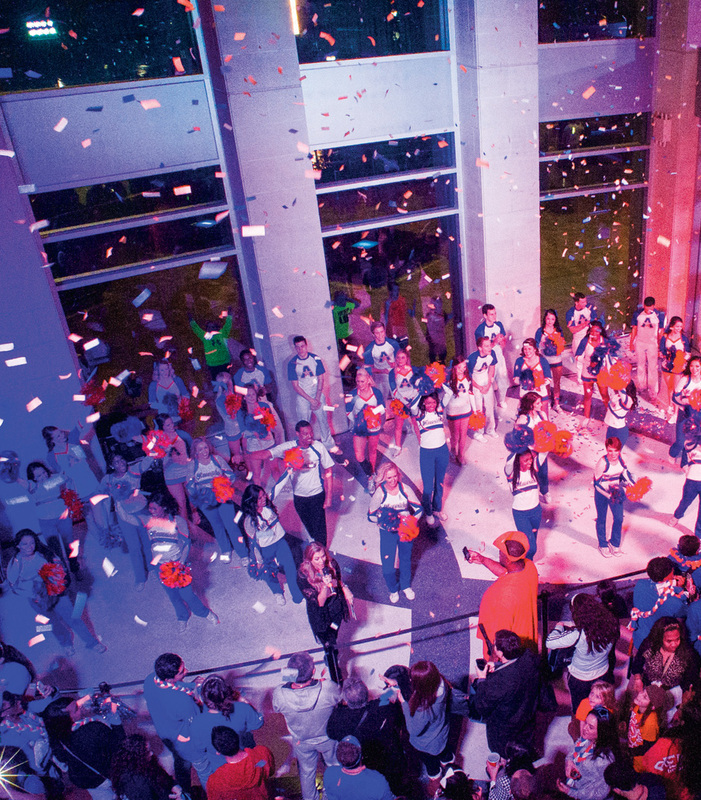 UT Arlington celebrated Homecoming in November as thousands of alumni, students, faculty, staff, and community members enjoyed fun and festivities. Highlights included the Distinguished Alumni Awards, The Bash dance party, Homecoming 5K run, chili cook-off, step show, street festival, and alumni gatherings. While rain forced some events inside, the downpour didn’t dampen Maverick spirit. A pre-game pep rally got fans pumped up as they helped power the men’s basketball team to an 87-69 victory over Houston Baptist in College Park Center. Marketing seniors Tung Nguyen and Cynthia Heisch were crowned Homecoming king and queen at halftime. Make plans to attend Homecoming 2015 scheduled for Nov. 9-14. Watch a video of Homecoming and the Distinguished Alumni Awards at youtube.com/UTArlington.